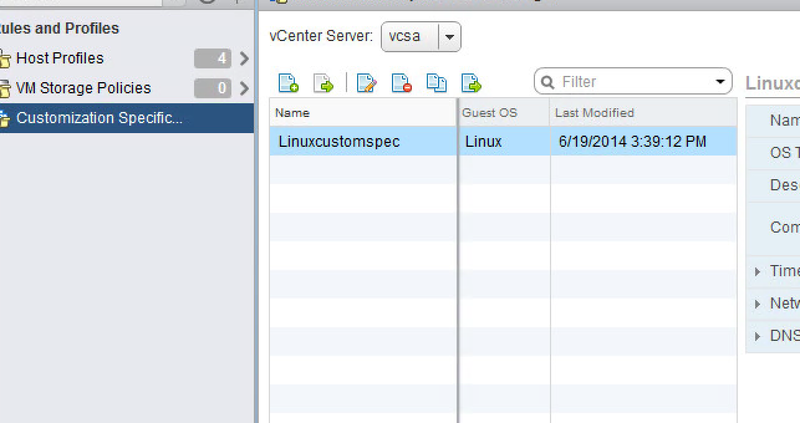 Starting fresh to customize some Linux guest VMs with vCAC 6.0.1, I found that there was no simple authoritative source for doing so, at least according to several colleague queries and Googling so my apologies if I missed something obvious. This also gives me my first chance to make a potentially [unsupported] recommendation. I am working specifically with RHEL 6.4, CentOS 6.4, and Ubuntu 12.04 so of course using other Linux distros or versions, YMMV. For each of those specific versions, I created a generic VM and mostly followed the defaults, installing the basic server packages and nothing else. 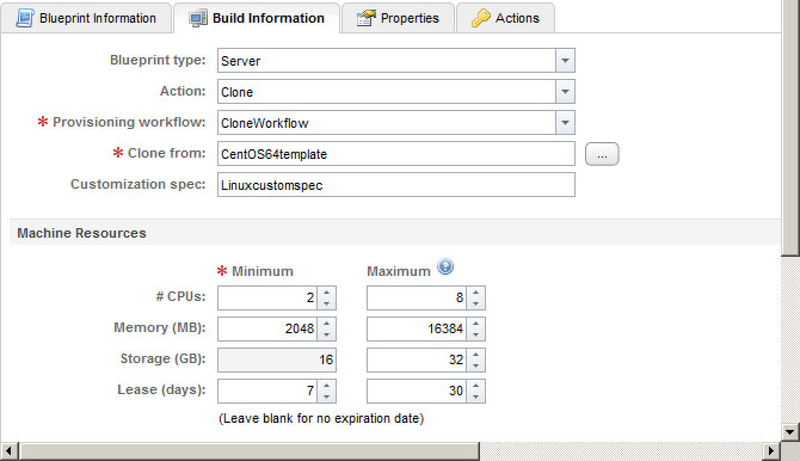 Feel free to customize your software and repos according to what you want in your baseline. At the least, make sure you have Perl installed so that you can install VMware Tools and a "Core" or "Minimal" install does not even include Perl. These were also created using static IPs. 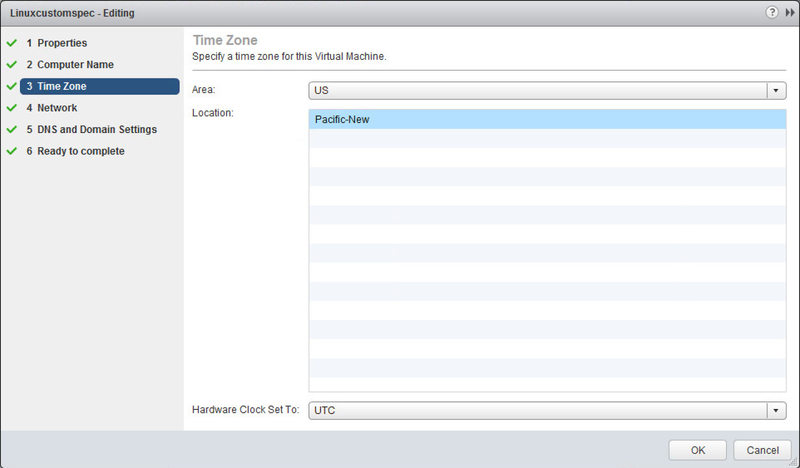 http://www.vmware.com/pdf/vcloud-automation-center-60-support-matrix.pdf, page 9, for details. and this file will be automatically recreated after reboot anyway so haven't experienced any issues with that approach either. 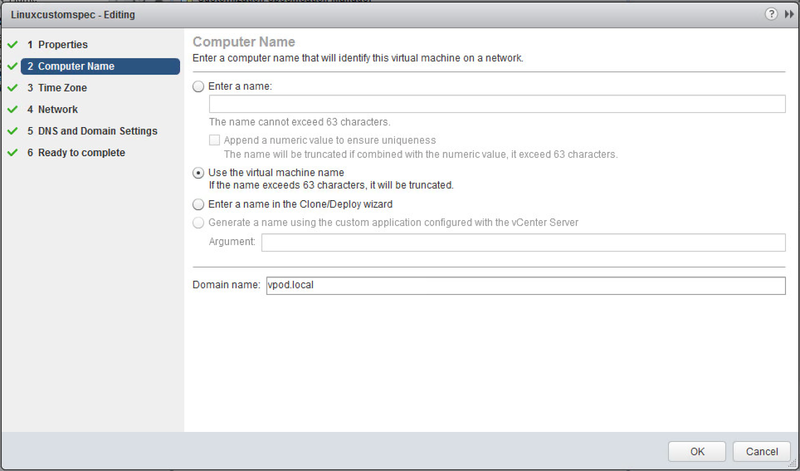 Just use the virtual machine name and refer to your vCAC machine prefixes. 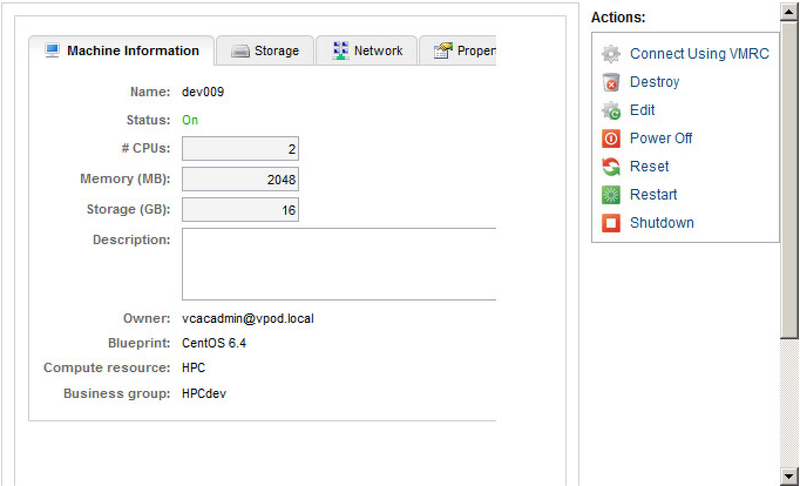 Incidentally, did you know that even though vCAC 6.x is stated to be multi-tenant, the prefixes are shared across tenants? 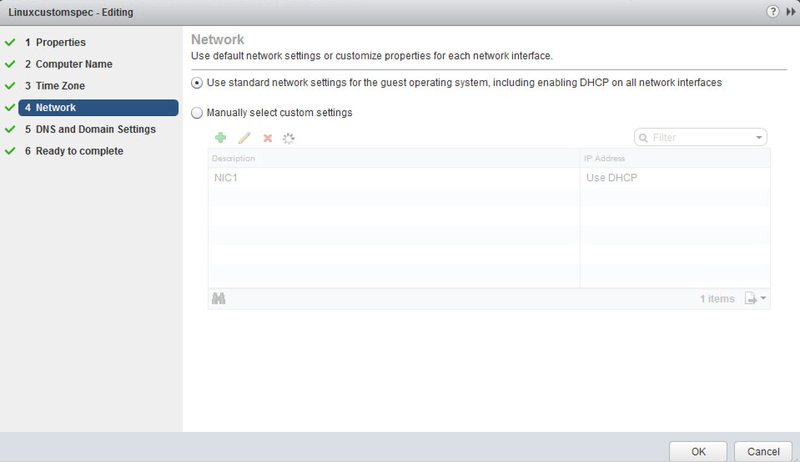 Feel free to set to manual if you want, but the vCAC provisioning should override this to whatever static IP is available from your Network Profile. 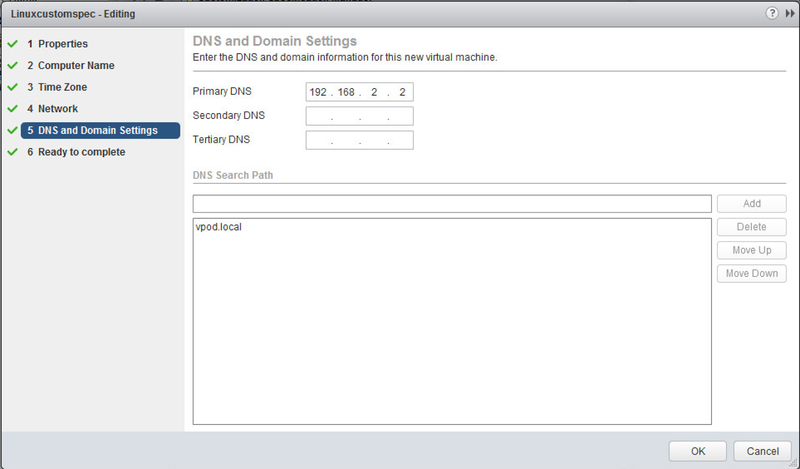 Of course, make sure your DNS and Search Path reflect your environment. 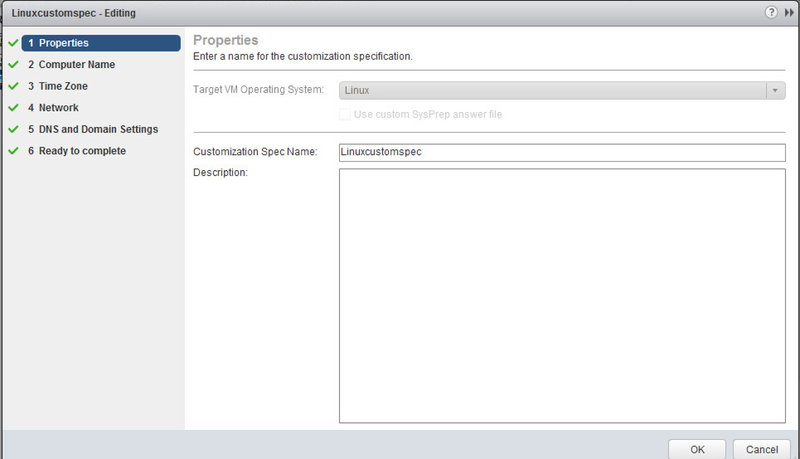 Now when you create your blueprint, you can use this custom spec across your templates for CentOS, Redhat and Ubuntu right? 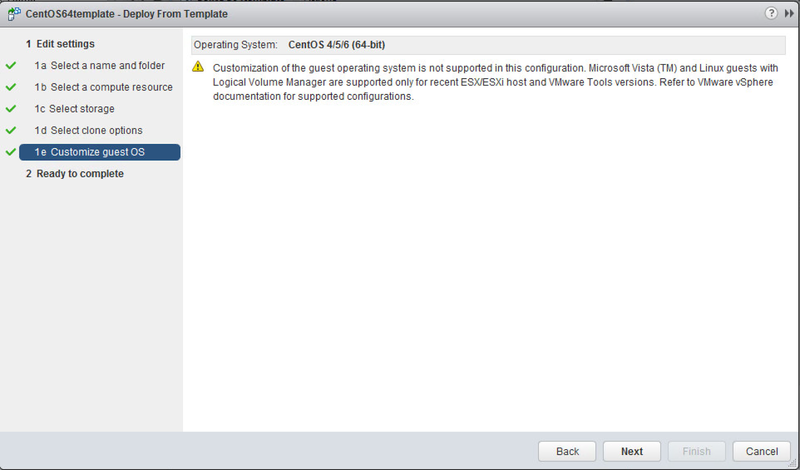 OK, so what may be unsupported is the workaround. 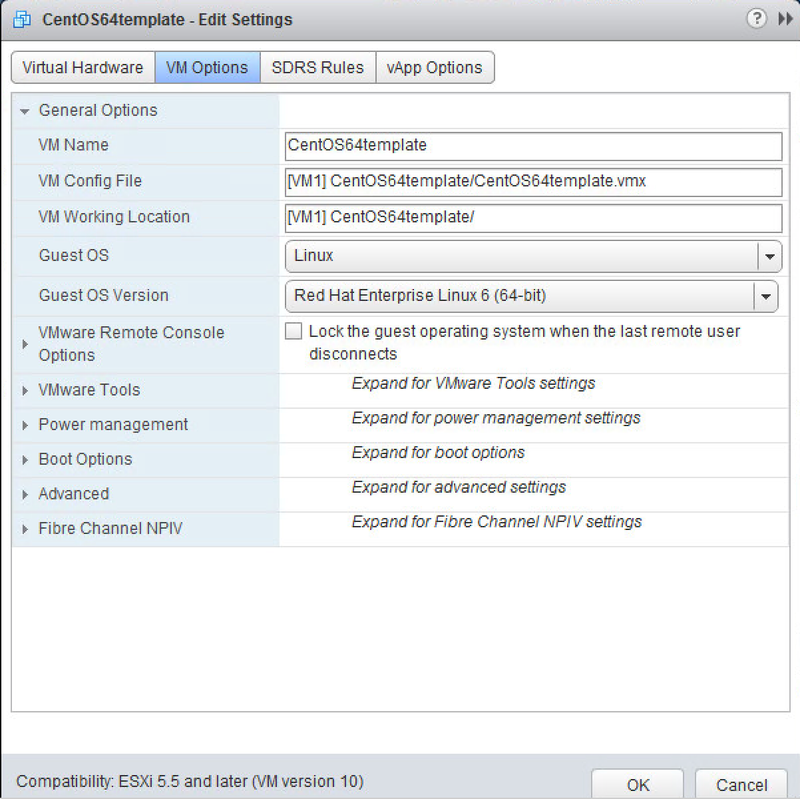 By setting the CentOS VM option to Redhat, this allows everything to proceed as normal and vCAC will deploy using the customization specification without griping.